This Saturday workshop is a rare opportunity to create your own tapestry on the Dovecot weaving floor. 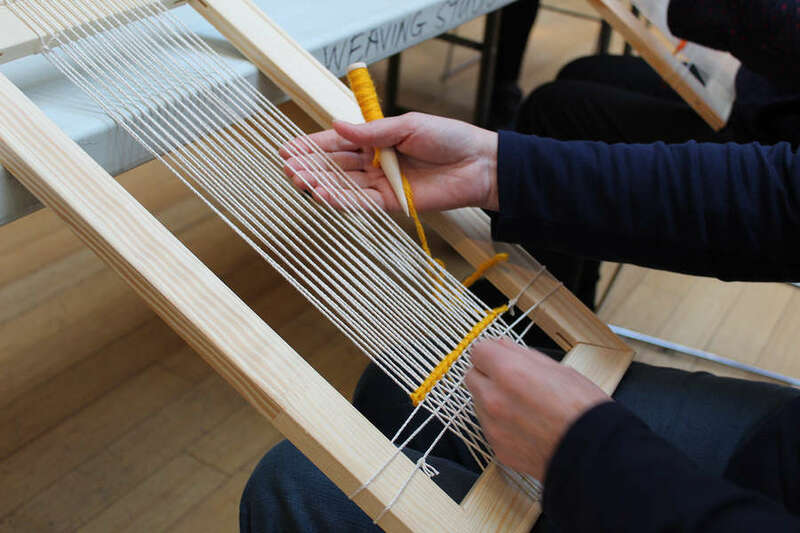 Aimed at beginners, and taught by an independent weaver, the workshop introduces the materials and skills involved in creating tapestry. Includes tea, coffee and a glass of Dovecot fizz. *The fee includes the tapestry yarn and use of equipment during the workshop. Should participants wish to acquire a tapestry frame, yarn and bobbins to continue their work at home these are available for sale on the day. Participants will also receive a 10% in Dovecot Shop on the day of their workshop.